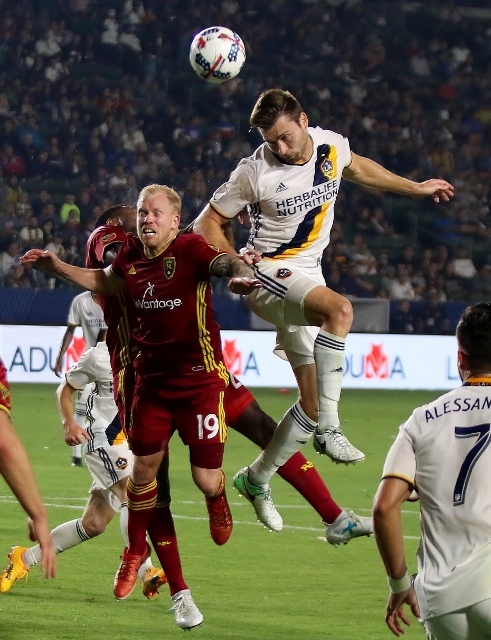 (Carson) – Real Salt Lake blew open a close game with a four goal barrage in the second half in a 6-2 rout of the Galaxy Tuesday night before a sold out StubHub Center crowd of 25, 667. Galaxy fans enjoyed a fireworks show after the game to celebrate the Fourth of July but the only fireworks during the match were provided by Real Salt Lake. 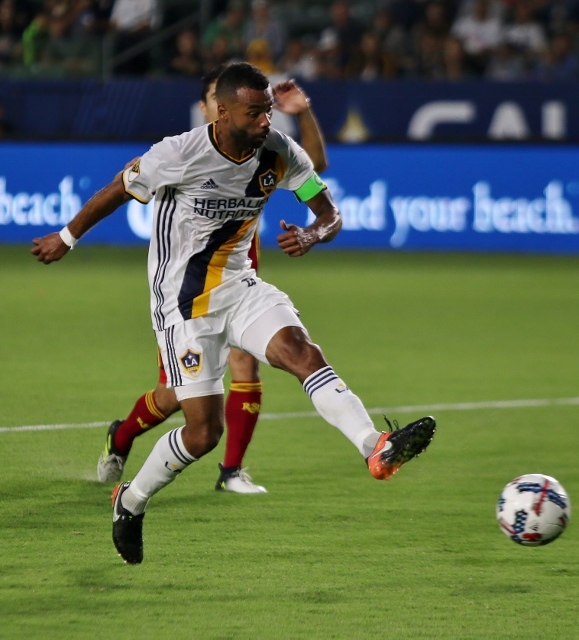 The Galaxy was down just 2-1 at the half and well withing striking distance of getting even or coming away with a victory. But in the 62nd minute Yura Movsisyan scored for Real Salt Lake off of a nice dish from Demar Phillips to make it 3-1. That set off a barrage over the next 20 minutes that didn’t end until Joao Plato scored in the 81st minute for a 6-1 advantage. The onslaught left the Galaxy buried. “It’s unacceptable. It’s disappointing. Not just for the sold out crowd that showed up tonight. I’m very disappointed,” said Galaxy coach Curt Onalfo. LA almost scored first in the sixth minute but a shot fired by Bradley Diallo was stopped by Real Salt Lake Goalkeeper Nick Rimando. In the 16th minute Emmanuel Boateng broke free and looked like he had Rimando beat but defender Aaron Maund arrived just in time to poke the ball away in front of the net. In the 19th the Galaxy’s Jose Villarreal went down after taking a shot off the side of the head but he remained in the game. Albert Rusnak opened the scoring when he got past the Galaxy defense and kicked one by Clement Diop to give Real Salt Lake a 1-0 lead in the 36th minute. The Galaxy evened it up in the 41st minute when Villarreal chipped one over the RSL defense to Ashley Cole who booted it by Rimando. Riamndo made a big save a minute later on Bradford Jamieson who had a shot from the right side. Two minutes of additional time were added and Real Salt Lake took advantage when Kyle Beckerman took a cross pass in front of the net and rammed it by Diop. Beckerman did a somersault to celebrate the goal and RSL was up 2-1 at the break. Romain Alessandrini entered the game in the second half for the Galaxy. But then things turned ugly. Real Salt Lake went up 3-1 in the 62nd minute when Yura Movsisyan finished off Phillips’ pass. Ariel Lassiter replaced Cole for the Galaxy in the 67th minute. In the 73rd minute Real Salt Lake lit up the board again as Jefferson Savarino blasted one by Diop from distance. Four minutes later the rout was on as Savarino got his second of the night off a rebound shot from distance. In the 81st minute Plato scooted by the back line and beat Diop and just like that it was 6-1. Jamieson booted one by Rimando in the 90th minute for the final score of the night. “Credit to Salt Lake. They played a very good game tonight. If you’re not at your best good players are going to punish you and they punished us on every occasion they could,” Onalfo said. With the loss the Galaxy dropped to 6-8-4 while Real Salt Lake, who is last in the Western Conference, improved to 6-12-2.